Volkswagen’s newspaper advertising campaign for the VW Crafter, “For Any Business”, has won a Gold at the Loerie Awards held in Cape Town, South Africa. 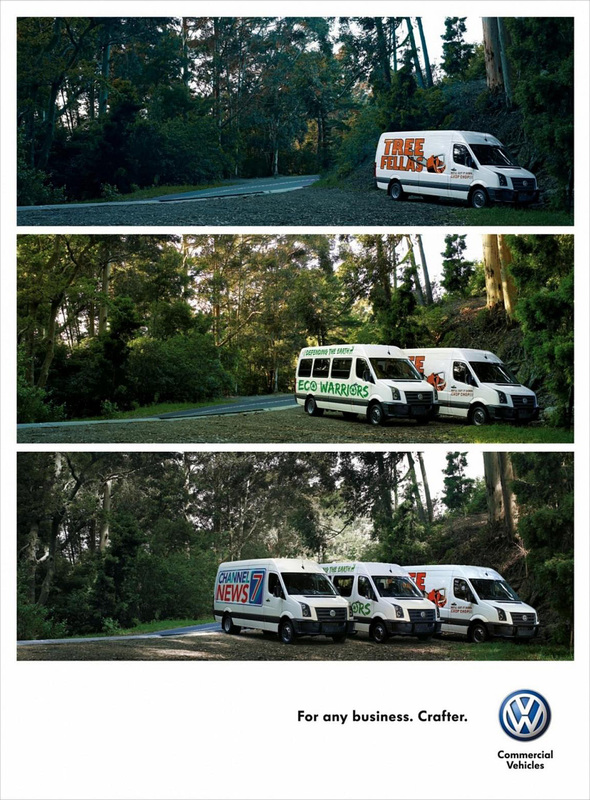 Three print advertisements, Wedding, Forest and Suburbs, each show three shots of the location, each with the addition of a new VW Crafter fitted out for business. The Wedding ad shows The Wedding Staff Co, Curry Palace Catering and Emergency Plumbing. 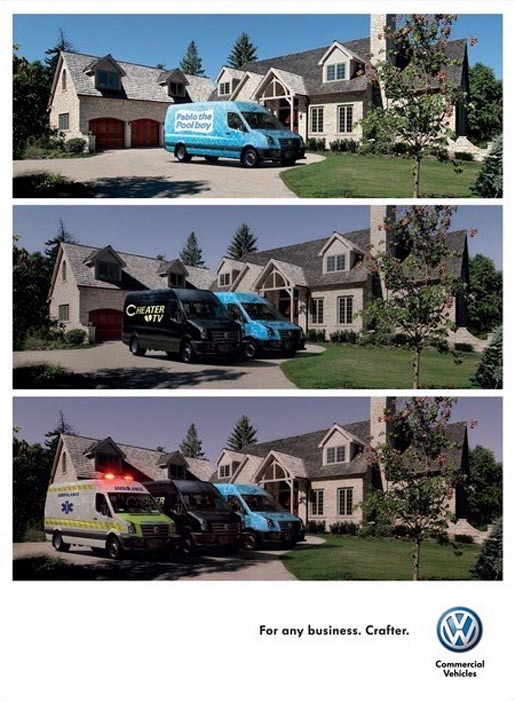 The Suburbs ad shows Pablo the Pool Boy, Cheater TV and an ambulance! 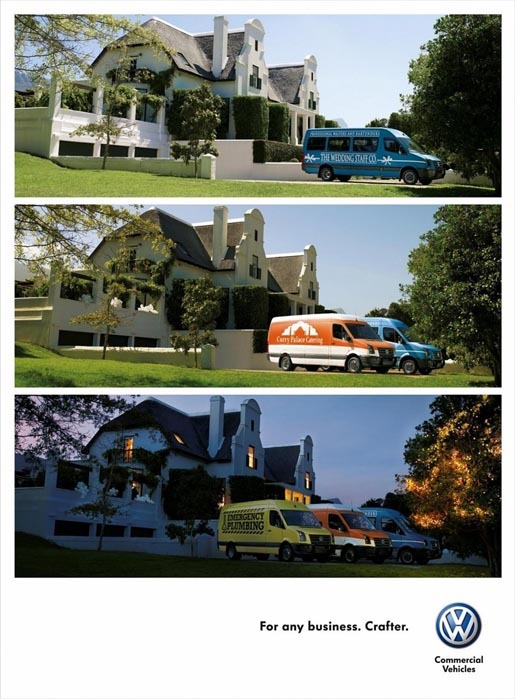 The Crafter campaign was developed at Ogilvy South Africa, Cape Town, by executive creative director Christopher Gotz, copywriter Cuanan Cronwright, art director Jennifer Macfarlane, art buyer Merle Bennet, photographer Guy Neveling, client account director Graham Birch, agency account directors Greg Tebbutt and Dylan Ferguson.